Digene Gel provides relief from acidity and gas whenever acidity strikes. It is a sugar-free syrup that provides effective action against acidity, reduces stomach pain and protects the stomach from making excess acid for long-lasting relief. 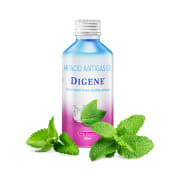 Digene Oral Liquid comes in a handy bottle that can be kept within easy reach at home. It’s scientifically developed combination of active ingredients provides a High ANC (Acid Neutralising Capacity) property. It is available in 200 ml, 450 ml bottles. For adults- 2 teaspoonful (10ml) after meals and at bedtime or as advised by the physician. For children- As advised by the physician. 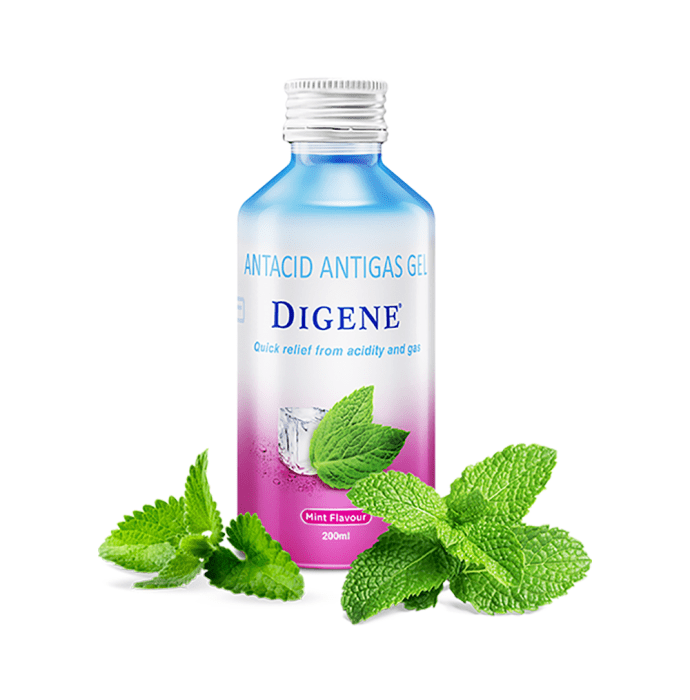 A licensed pharmacy from your nearest location will deliver Digene Gel Mint. Once the pharmacy accepts your order, the details of the pharmacy will be shared with you. Acceptance of your order is based on the validity of your prescription and the availability of this medicine.